If there is one thing I am most looking forward to this holiday season, it’s celebrating Advent with my family. Here in America, consumerism has overtaken Christmas, unfortunately, making it so easy to overlook why we even celebrate Christmas, to begin with. All those years ago, a miracle quietly happened in the dirtiest of places. Jesus’ entry into the world wasn’t grand or something celebrated by all, instead, it was a humble entry made known to a few carefully chosen by God. We now know, of course, all about that marvelous night. Every December we get to relive the miracle of our Savior’s birth as we move through the days of Advent. 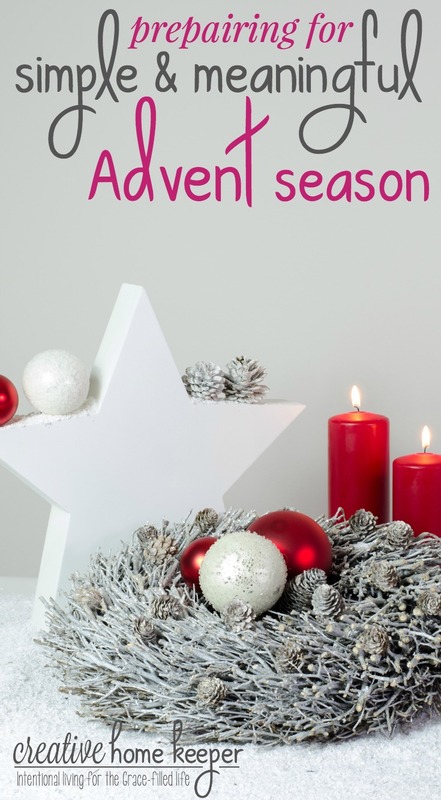 Advent is part of the liturgical calendar that includes the last four Sundays leading up to Christmas day. Advent symbolizes the present situation of the church in these “last days” (Acts 2:17, Hebrews 1:2), as God’s people wait for the return of Christ in glory to consummate his eternal kingdom. The church is in a similar situation to Israel at the end of the Old Testament: in exile, waiting and hoping in prayerful expectation for the coming of the Messiah. Israel looked back to God’s past gracious actions on their behalf in leading them out of Egypt in the Exodus, and on this basis they called for God once again to act for them. In the same way, the church, during Advent, looks back upon Christ’s coming in celebration while at the same time looking forward in eager anticipation to the coming of Christ’s kingdom when he returns for his people. While Israel would have sung the song in expectation of Christ’s first coming, the church now sings the song in commemoration of that first coming and in expectation of the second coming in the future.” Click here to read the full article. There is no shortage of ideas on how to celebrate Advent. 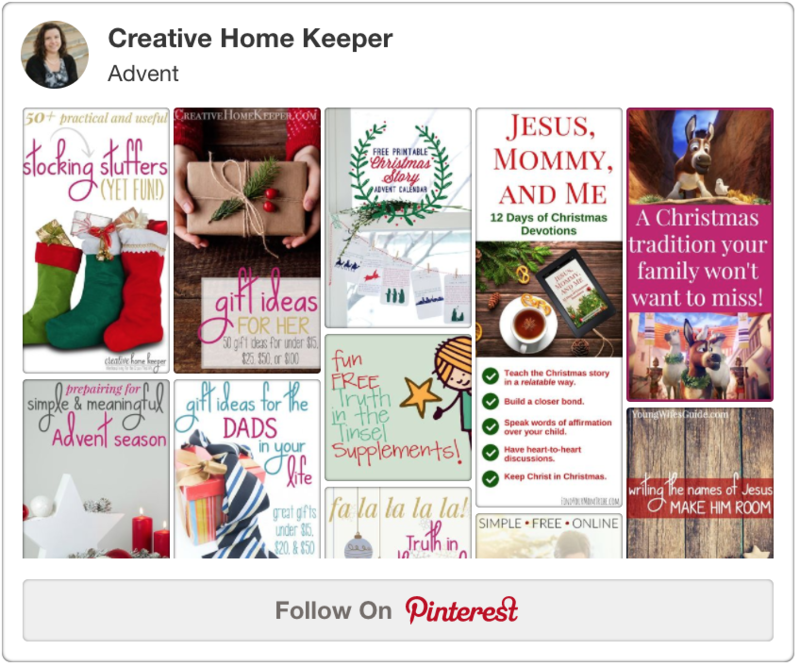 Just search Pinterest and you will be overloaded with ideas! It would be so easy to plan for lots of Advent activities, after all, they all look so great, but something else to consider is TIME. Advent is smack dab in the middle of the busiest time of year. From holiday parties, concerts, shopping, and other family events, the 30 or so days between Thanksgiving and Christmas are already full. You do not want to add to your stress and anxiety by planning for and cramming even more into your already busy schedule. I’m an over planner and as a result, I have set myself up for failure and disappointment more times than I care to admit. 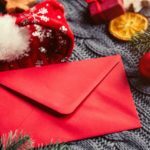 The simple truth is there is no way you can possibly pack everything you want to in your holiday season which is exactly why I put together Your Intentional Holiday Planning Toolkit. Aside from planning a joy-filled and stress-free holiday, there is a whole section on how to plan for Advent by carefully selecting a few traditions. Planning for Advent and Christmas shopping are the only two Christmas activities I do before Thanksgiving. I love Thanksgiving so much, but I hate how overlooked of a day it is as everyone impatiently awaits for Christmas. My only exception to the rule is planning. I like to have most, if not all, of my Christmas shopping planned for and bought before ethe busy holiday rush begins. I also like to have our Advent plans in place so I’m not scrambling around the days after Thanksgiving before December 1st arrives. I have personally been using the She Reads Truth daily reading plans for almost four years now and I’m especially excited for their Advent reading plan! 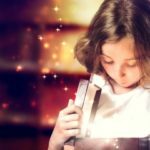 This reading plan will be just for my husband and I during our own individual quiet times (scroll down below for what my children will be doing). I don’t usually purchase their study books since their reading plans are free on the website but I do save up to purchase their Advent and Lent books since they are so pretty and filled with a lot of festive goodness! 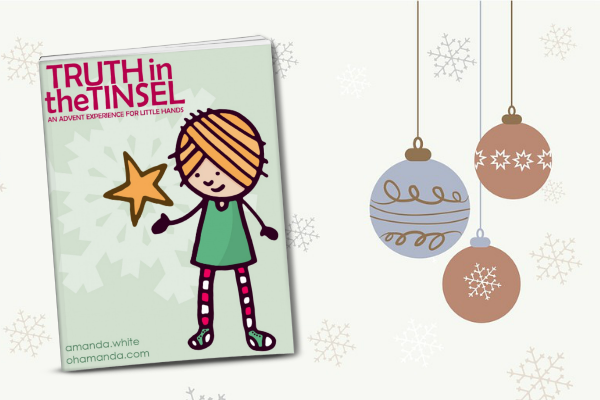 It really is a wonderful hands-on Advent adventure for children that is Bible-focused. My son is already asking about when we will start it! As in previous years due to business and schedules, I will be mixing in the daily crafts with the printable ornaments as well as using one of the adaptable schedules Amanda includes in the book. 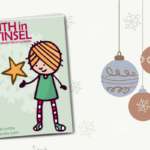 We will do our Truth in the Tinsel activities after school during our afternoon table time. We have been doing this for a few years now and it really is one of our family’s favorite Christmas traditions. Our collection is rapidly growing as new books are added each year! 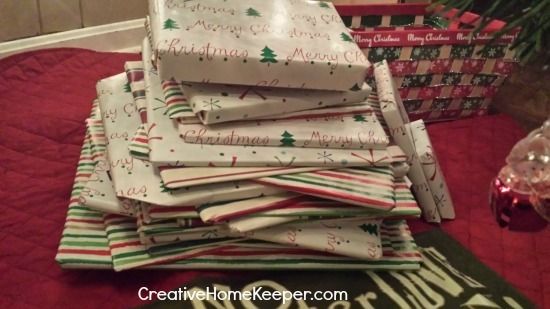 I wrap up 24 Christmas themed books and place under the tree. Every evening after baths, we will gather on the sofa to read our Christmas storybooks in our PJs before bed. We open up one book a day and read together on the sofa. This year I am even more prepared because I went ahead and wrapped the books up before I packed them away last year!!!! My kids are at an age where they are sponges so I am fully taking advantage of this season! They already have so many Scripture verses memorized, thanks to these great CDs, but I also want them to have a good understanding of Jesus and why His name is to be praised. So during the next few weeks, we are also going to focus on the names of Jesus by reading through Unwrapping the Names of Jesus: An Advent Devotional each night at dinner. I’m really excited about this devotional because it will also coinside with the lighting of our Advent candles every Sunday evening as we lead up to Christmas Day. 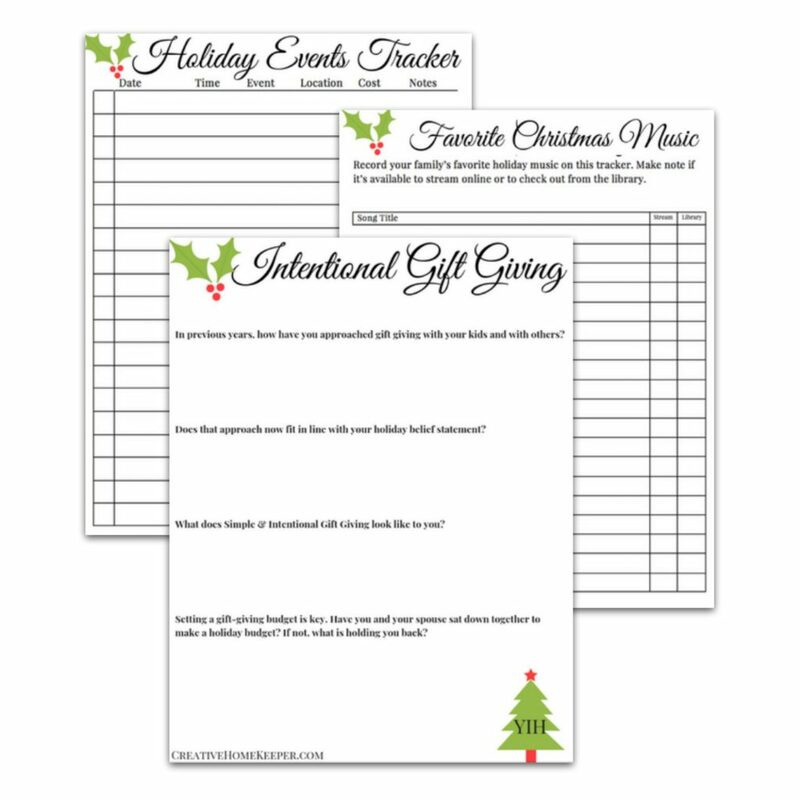 Have you sat down to really think through what activities you and your family will participate in this holiday season? We all have good intentions but then life happens and we get busy. 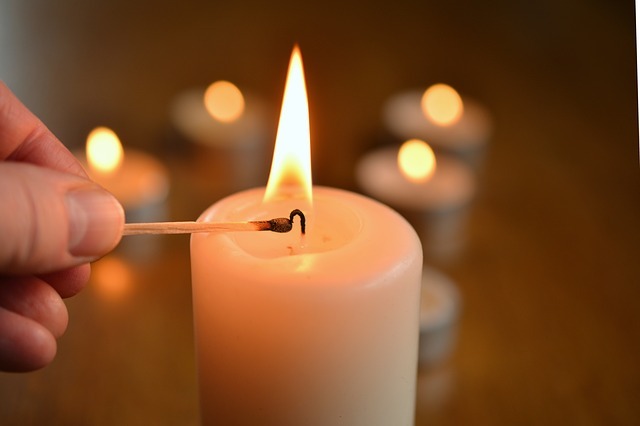 Taking some time now to plan for your entire holiday, including how you will celebrate Advent, will help remove many of the anxieties, stress, and frustrations that come with a hectic and busy holidays season. How do you and your family celebrate Advent? 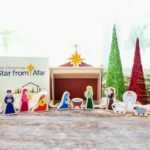 Looking for more great Advent resources to experience the Greatest Gift this season with your family? Fa La La La La! Truth in the Tinsel is Almost Here!!!! !